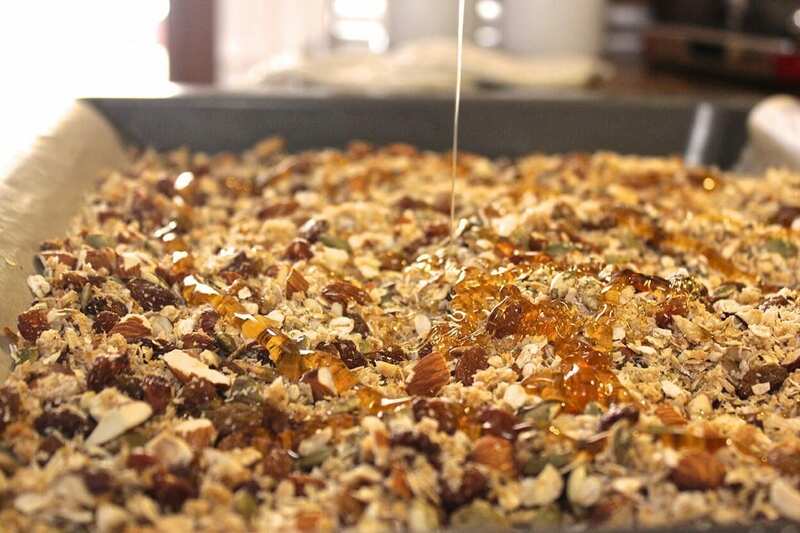 Godmother's Granola – the best muesli recipe ever! ‘The Kitty Chronicles’ continues in it’s second segment where my dear Godmother Kitty shares yet another gut-gorgeous recipe that ticks all the health boxes. It’s crazy to think that such sweet delicious smells wafting from a rustic looking kitchen could actually be heart-healthy food. Anyone would think you’re making shortbread cookies, or Victoria sponge cake. 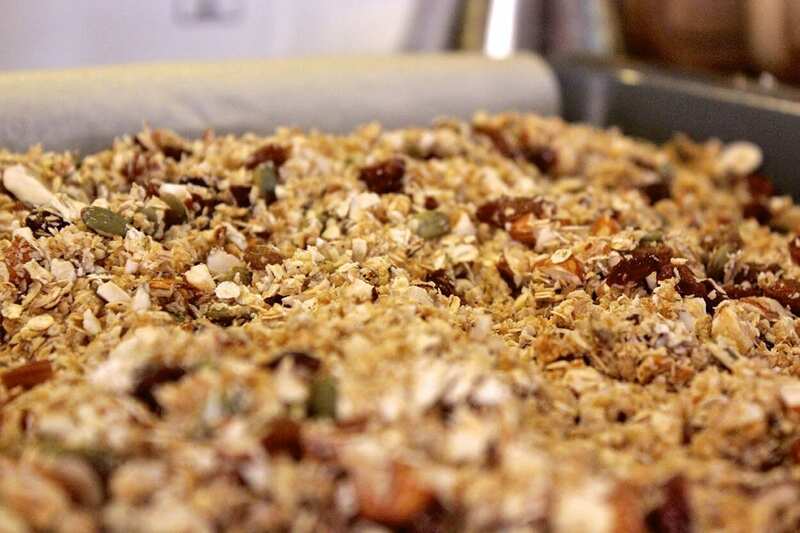 It certainly puts you in the mood for muesli, and that’s exactly the right kind of food you want to be reaching for to break the overnight fast. Brimming with omega 3s, B & E vitamins, zinc, magnesium, calcium, iron, potassium and impressive levels of dietary fibre, it’s truly a breakfast of champions. Not to mention the health benefits from anything added to the pot, such as digestive aiding kefir or vitamin C ladened fresh fruit. This recipe can be enjoyed spruced up or eaten plain and is great fun to make with kids as a quick relatively low-mess activity. 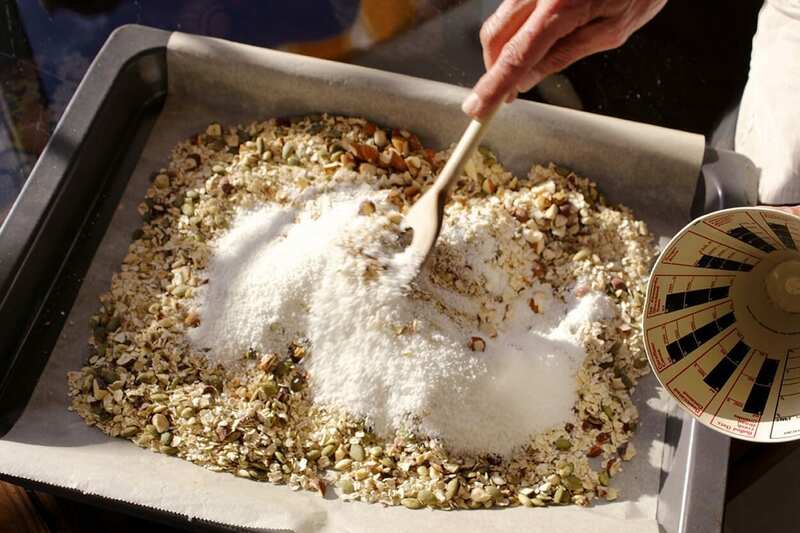 A delicious, homely muesli bake that’s great for the whole family! Note before starting: After 15 minutes of baking, add the raisins, as they only require 10 minutes of oven time. Step 1: Preheat oven to 170ºC (338ºF). Line an oven tray (baking sheet) with parchment paper (baking paper) and set aside. Step 2: Combine everything except for the honey and raisins into a large bowl. Mix with hands and spread mixture evenly onto baking tray. Step 3: Carefully drizzle the honey over the entire mixture and place baking tray in oven. Step 4: Let the mixture bake for a total of 25 minutes, taking out the tray to turn and combine every 5-10 minutes. You can use a spoon or spatula to do this. (This will ensure the honey gets everywhere and the oats cook evenly). Don’t forget to add the raisins after the mixture has been baking for 15 minutes. Did you know? Raisins pack more nutrition than their small size might indicate. When grapes are dehydrated to produce raisins, the nutrients become more concentrated, making a handful of raisins a snack rich in iron, potassium, B vitamins and a healthy source of carbohydrates. 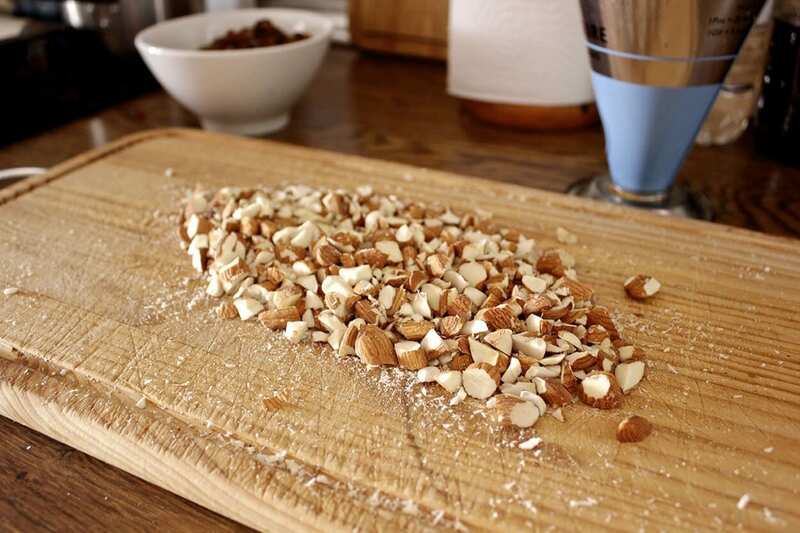 The muesli mixture should turn a light golden-brown colour, and when it’s done baking, leave to cool on the stove top for a few minutes. For storage, place in an air-tight tupperware container and keep in a cool, dry area. Enjoy this god-sent muesli concoction with a generous serving of either natural yogurt, goat kefir, cow kefir, cows milk or rice milk. If you particularly enjoy a different type of milk, try that too! Enrol with the School of Natural Health Sciences today to take advantage of some of our most outrageous offers like the ‘buy one holistic health course and get one absolutely FREE’ celebratory deal. We take pride in providing education the holistic way, and have helped over 40,000 graduates build fulfilling careers and bright futures over the past 20 years. To read about our student experiences, visit our testimonials page.